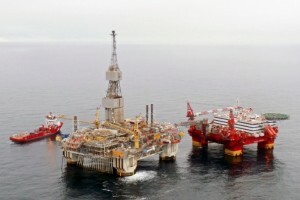 Following the results of the 22nd Licensing Round announced by the Norwegian ministry of petroleum and energy, two Russian companies – Rosneft and LUKOIL have received stakes in licenses to develop the Norwegian continental shelf in the Barents Sea. LUKOIL got a 20 per cent stake in partnership with the Swedish operator Lundin, Norwegian North Energy and Edison, and a 30 per cent stake in the project with British Centrica operator. Rosneft said it had been granted a 20 per cent participating interest in partnership with Statoil operator. “This license award mark for the Rosneft a promising firm entry into Norwegian continental shelf in the Barents Sea. It also marks a major step in developing the long-term cooperation with Statoil – a strategic partner of Rosneft” oil major Rosneft said in a press statement. “The companies will apply their best practices when implementing the cooperation agreement for exploration and further successful development of resources in this technologically and climatically challenging region,” said the statement. Rosneft will operate through its subsidiary RN Nordic Oil AS. “We are pleased to have been awarded the license and look forward to making active contributions to the License work programme. We are convinced that application of latest technologies jointly with our strategic partner Statoil will enable us to develop these acreages in the most efficient way,” Rosneft vice president for offshore projects Zeljko Runje said. In 2011, LUKOIL qualified to operate on the Norwegian continental shelf and in 2012, LUKOIL Overseas North Shelf was established in Oslo. This company will manage upstream projects on the Norwegian shelf during the whole cycle of hydrocarbon exploration and production. If Rosneft and LUKOIL find commercial reserves when in partnership with foreign companies, Norway might grant them the permit for another 30 years of extraction. Norway follows the concessional model of natural resources management – they always return to the government. At the same time, Norway compensates 78 per cent of the expenses on geological prospecting.